Trimming your pet’s nail safely with no stress or mess is possible! With the right equipment, you can easily cut your cat’s claws. 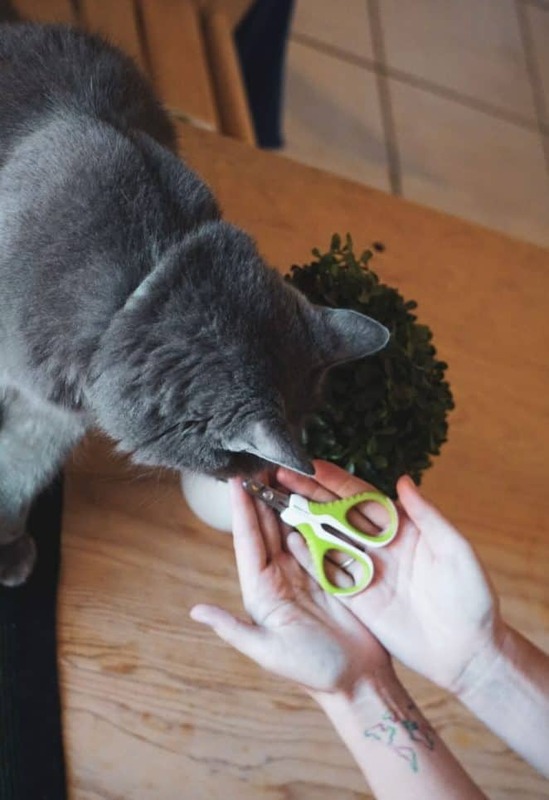 Today we’re showing you how to do just that with a video guide and full review using the Shiny Pet nail clippers for cats! So when Shiny Pet contacted us to test their clippers, we were most definitely up to the challenge! The Shiny Pet nail clippers are popular pet nail clippers among cat and puppy owners because of their ergonomic design. We especially appreciate the angled and sharp blades and the non-slip rubber handle. I always say when it comes to trimming cat’s claws, the process needs to be quick and gentle. Unlike other clunky nail clippers, the Shiny Pet nail clippers remain simple and small to handle. These clippers aren’t for big dogs or pets with thick nails. On the contrary, feel free to use them for small dogs, birds, rabbits, and other small pets. In particular, the size is perfect for maneuvering around your cat’s delicate paws and won’t get lost in your cat’s fluff. The non-slip rubber grip on the Shiny Pet nail clippers is exactly what it needs to be. Buying cat nail clippers with this feature is extremely important because you want to avoid making any false movements while your cat’s nail is in between the blades. Speaking of blades, the ones on the Shiny Pet nail clippers are sharp and clean. The design is really simple – again, something we appreciate when taking care of Yoda. A semi-circular angled blade helps maximize visibility while ensuring a clean cut. So far, they haven’t split Yoda’s nails! We have only been able to test them for 1-2 weeks, so we are still waiting to see how they will hold up after 3+ months. 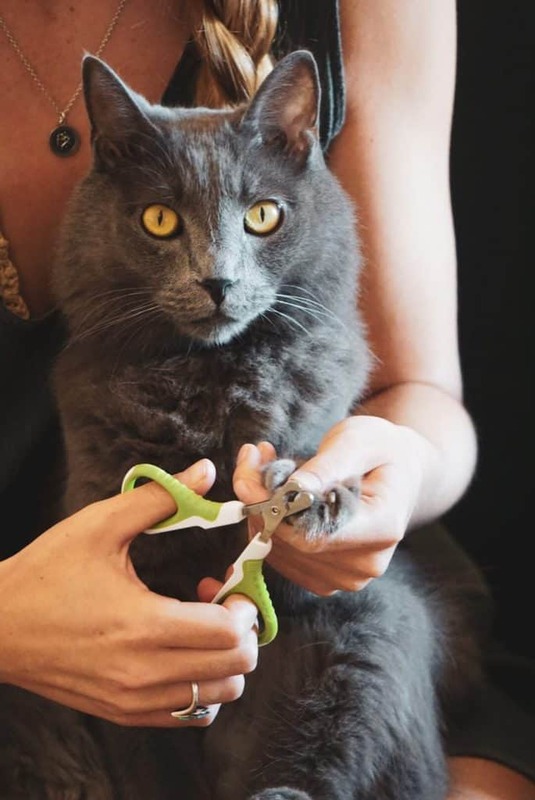 TIP: Use clippers with the angle facing inward toward your cat’s paw – not away. According to Shiny Pet’s Amazon listing, these clippers are “made with recycled plastic” which, turns out, is not entirely true. We made sure to check with the seller! While the plastic of the clippers is entirely RECYCLABLE, it is not made from recycled plastic itself (i.e. recycled water bottles, etc.). These clippers are also made in China. So are they really eco-friendly? We’re not that sure. As with many other products, just because it can be recycled, doesn’t mean it 100% will be. We definitely think Shiny Pet could do better by being more transparent and clear with customers. Bottom line: If it isn’t made with recycled plastic – but is just recyclable – that makes a world of difference! 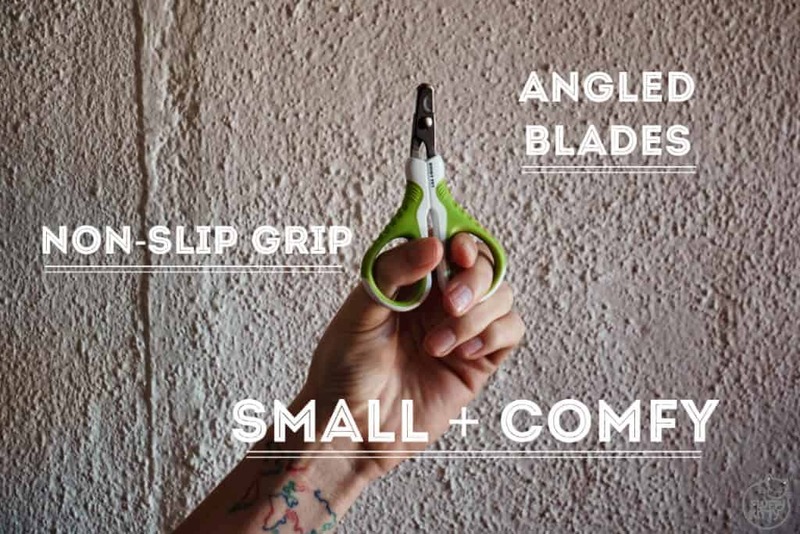 Without added features or frills, these pet nail clippers are affordable at just around $10. That price coincides with many of their competitor nail clippers but overall, we feel you’re definitely making a risk-free choice when it comes to Shiny Pet’s nail clippers. As I was saying, your purchase is entirely risk-free. If ever the Shiny Pet nail clippers don’t work out for you and your pets, just let the Shiny Pet team know. They would be happy to have your feedback in any case! One of Shiny Pet’s favorited features for first-time cat owners is that your purchase comes with a free “how to” e-book. So if you’re really unsure about trimming your cat’s nails, they have made their own guide free for you to use. Shiny Pet is a popular brand for nail clippers – and when it comes to your pet’s safety – popular is a great sign!! With Yoda, we always make sure to check reviews before purchasing a product. So far, it seems Shiny Pet is doing a wonderful job at providing the best for their customers. 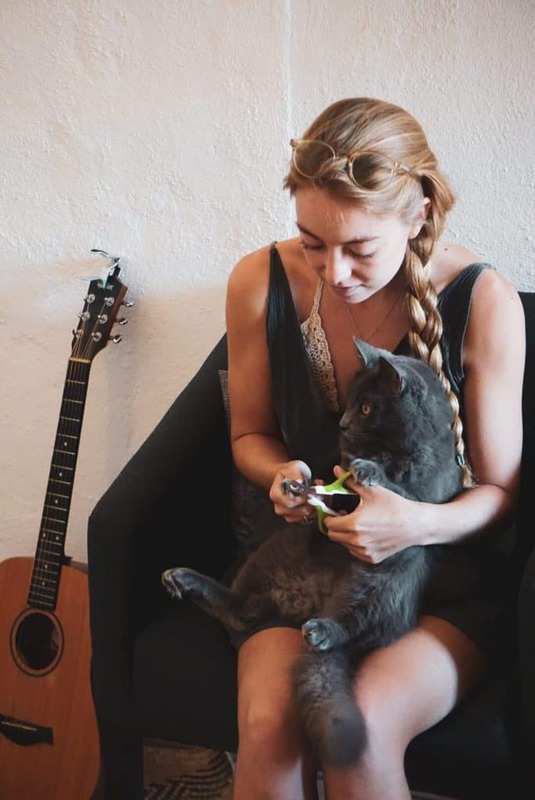 With over 750+ reviews (and counting) with an overall rating of roughly 4.7/5, it’s safe to say lots of cat and dog owners are enjoying these clippers. 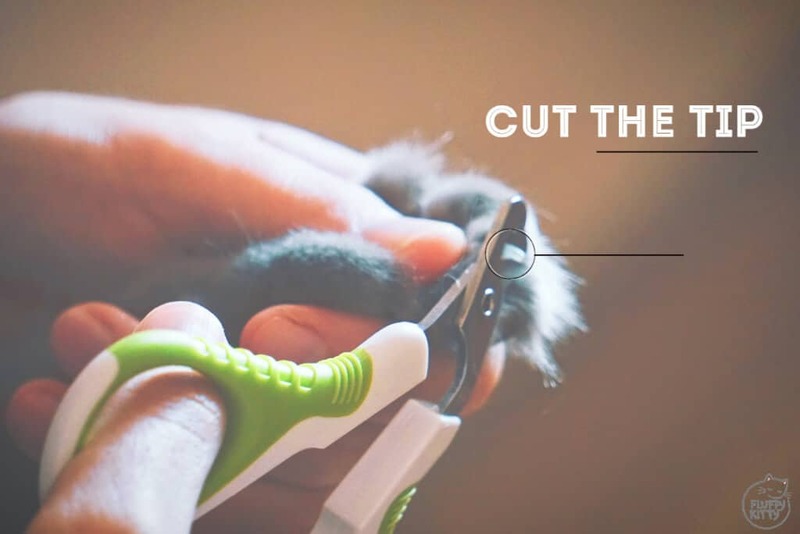 Now it’s time to dive into our own video walk-through on how to cut your cat’s nails using the Shiny Pet nail clippers! As you can see in the video, Yoda is pretty used to getting his nails cut. He sits on my lap and doesn’t move too much. If he gets agitated, I always make sure to let him down so he doesn’t feel trapped. If your cat is not comfortable, readjust. Remember, you don’t have to do all the paws in one sitting! 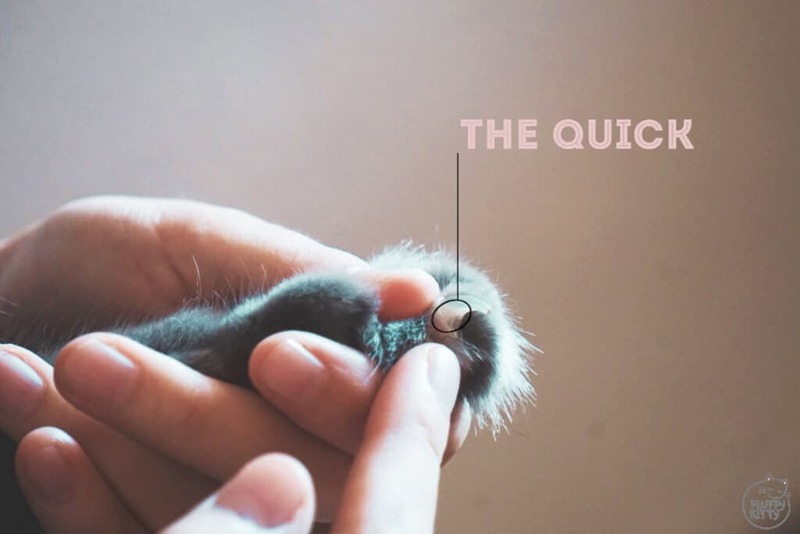 The quick of the nail is where all your cat’s sensitive nerves and blood vessels are located. If you cut too far back, the nail will bleed and it will be painful. It’s the same when we cut our nails too far back and it’s really sore! To stop any bleeding (accidents do happen), make sure to have your styptic powder nearby. My family used this on our 12 birds, 3 cats, 3 dogs, and bunnies when I was growing up. Check each nail on the paw to identify any really pointy ends. The very pointy bit of your cat’s nail is where you want to trim. When trimming, make sure to be gentle yet swift. By doing so, you’ll greatly reduce any pressure on the nail during clipping! I forgot to mention this in the video, but generally speaking, you can trim your cat’s claws every 1-2 weeks or 10-14 days. Just adapt to your cat’s needs! Most of the time, thanks to Yoda’s scratching posts, his nails only need trimming about once every two weeks. 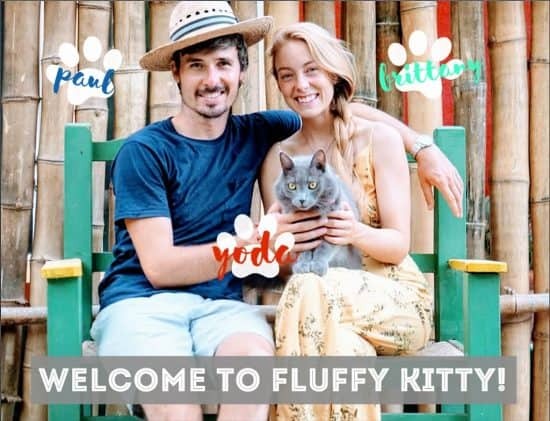 You might see something similar with your cat – Yoda has a particular nail that always grows very sharp, while others remain bunted or smooth at the ends. 5. Reward good behavior with treats & cuddles! 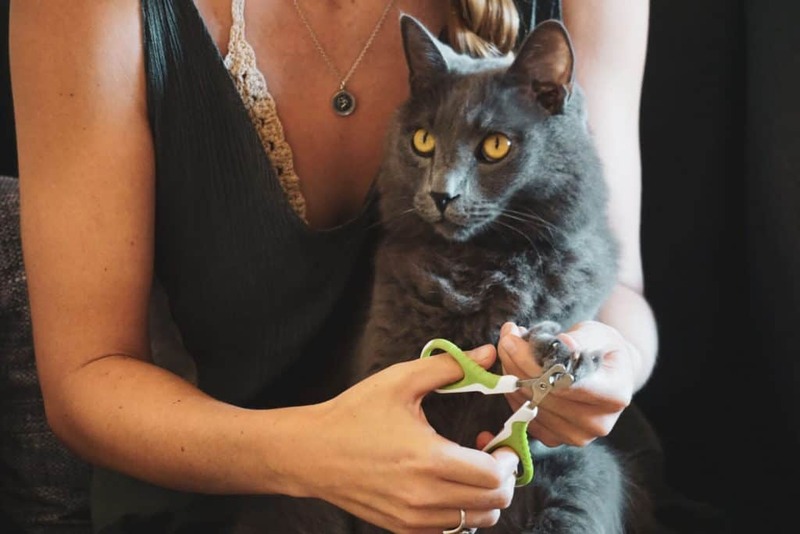 If you’re a first-time cat owner, or if you’re training your cat to not hate nail trimming time, you’ll definitely need to reward your cat after every claw cutting session. Just like with anything else we own, if we take care of something, it tends to last longer. The same goes for cat nail clippers! While clean and sharp, the stainless steel blades on most cat nail clippers degrade over time. If not properly cleaned on a regular basis, clippers can become rusty, dull, and can host lots of bacteria. If you use dirty clippers, you will be putting your cat at risk of nail infection, fungus, or worse. This is especially the case if you use one pair of pet nail clippers for multiple pets. To clean your clippers regularly, soak them in a disinfectant (only the blades). (We use natural white vinegar and baking soda). Once you let them soak for 15-20 minutes, rinse and dry with a clean towel or cloth. Store them in a clean, dry area until they’re ready for their next trimming session. To sum up our review – we are pleasantly surprised by our new pair of clippers. 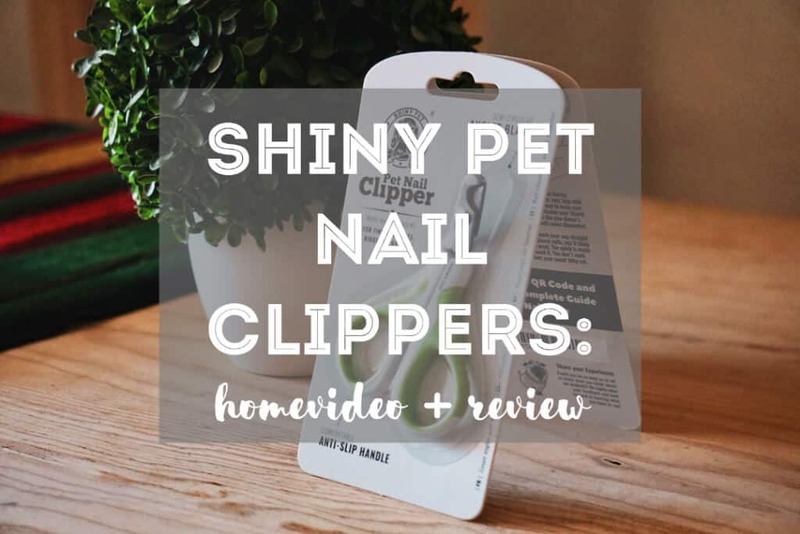 We would really recommend trying out Shiny Pet’s pet nail clippers for cats and small dogs! The Shiny Pet pet nail clippers are officially Yoda recommended, which means we recommend them too! Thanks for reading! 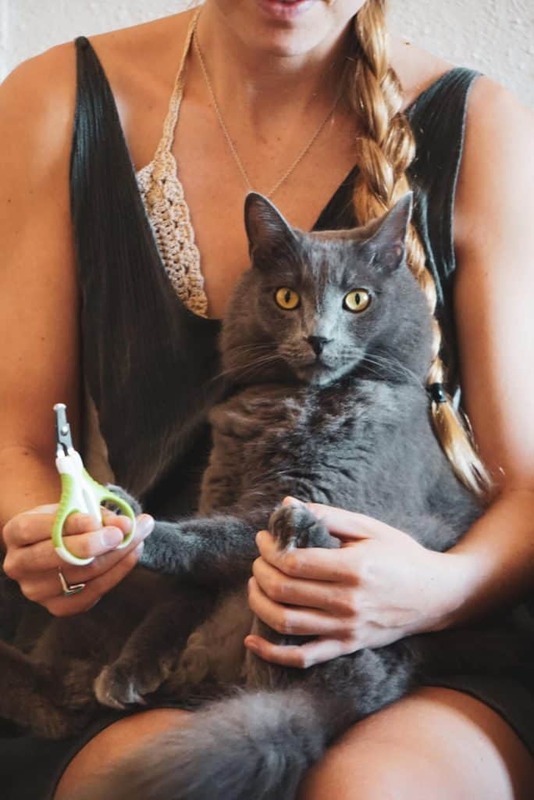 Make sure to leave us your comments below with your own experiences trimming your cat’s nails. Feel free to share your tips and tricks with us and the community! This post was sponsored in partnership with Shiny Pet. However, all opinions and statements, written or oral, are ours alone. We recommend their product because we genuinely think they are quality clippers that are safe and easy to use for cats. My Cat Has Bad Gas, How Can I Help Him ? Are Meat By-Products Bad for Your Cats? Why Does My Cat’s Breath Smell Like Fish ?